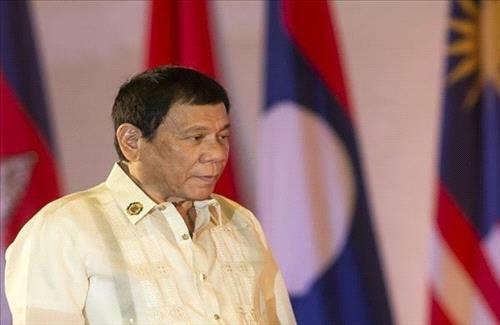 AMMONNEWS - Philippines President, Rodrigo Duterte, arrived in Amman on Wednesday in an official several-day visit to the Kingdom, during which he will hold talks with His Majesty King Abdullah II on means to enhance cooperation between the countries. Receiving him at the Queen Alia International Airport was head of protocol Minister of Social Development, Hala Lattouf and the Philippines ambassador in Amman along with the ambassadors of Indonesia, Malaysia, Brunei and Thailand. Duterte is accompanied by senior officials and representatives of the business community in the Philippines.